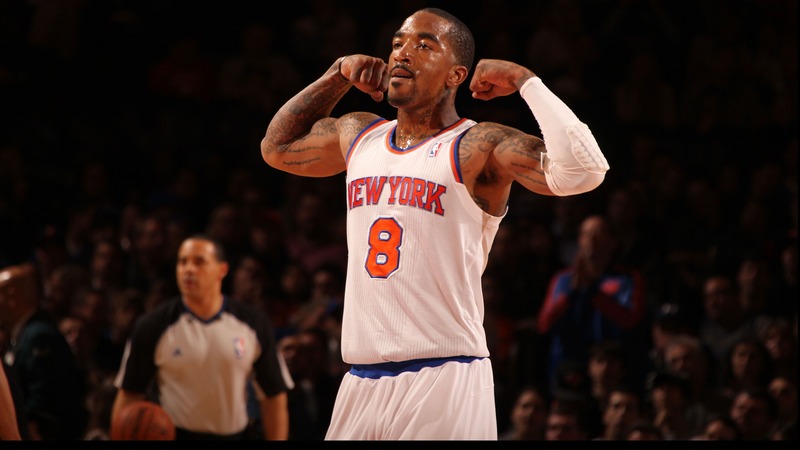 Knicks guard J.R. Smith is one of the more interesting characters in the NBA. He proved this again when he answered some random questions from The Buzzer. Not only did Smith reveal that he has been taking advantage of Instagram’s new DM feature, but wait until you hear how much he once spent on a cell phone. Read the full Q&A here. On the newest edition of "The Buzz" podcast, Diamondback pitcher Brandon McCarthy revealed that pitchers will have the option to wear a new type of helmet in 2014. He also talked about what it’s like to be one of the most popular athletes on Twitter, his hatred for the Dallas Cowboys, why he can’t watch "Curb Your Enthusiasm" on a regular basis and much more. Download the podcast on iTunes or listen to it below. Bulls center Joakim Noah tried to visit guard Thabo Sefolosha in the Thunder’s locker room after Oklahoma City beat Chicago, 107-95 last night. However, Thunder center Kendrick Perkins did not want an enemy invading his territory, so he kicked out Noah. The Pats coach loves Christmas music. Go figure. Flyers forward Claude Giroux did this last night. Christmas isn’t the only holiday right around the corner. Festivus is quickly approaching. Here is a compilation of Seinfeld characters airing their grievances. How would Christmas morning look if it wad directed by some of film’s most noteworthy directors? * Kanye West ad-libbed a very long song about Michael Jordan at his concert in Chicago earlier this week. * The NFL will give gloves, earmuffs and lip balm to fans in attendance at this year’s Super Bowl. Model Bar Paly gets today’s Fox-y Lady honors. Got a link, comment or question? Email JimmyTraina1@gmail.com.